Do High Heels Cause Vein Problems? The truth of the matter is, however, that high heels are not healthy for your legs. This is because the higher heels themselves tend to limit the action of the leg muscle pump which moves the blood back to the heart. Over longer periods of time, due to decreased muscle action, lower extremity blood pressure is increased in the leg. 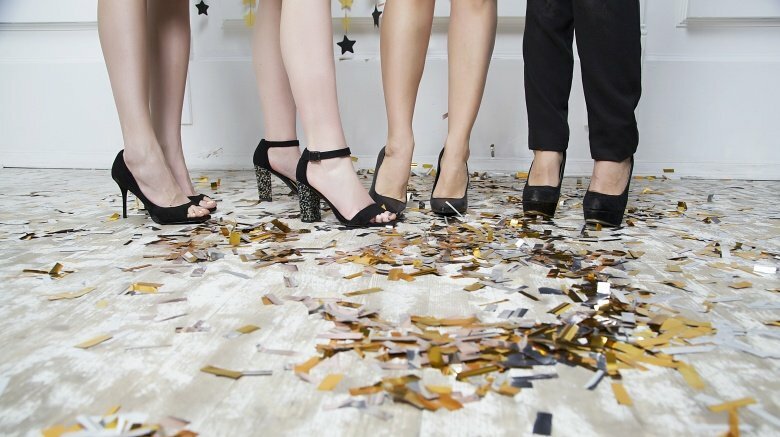 You can still wear high heels, but do so in moderation especially if you believe you are prone to varicose veins. This is according to a National Institutes of Health study that tested 30 women, none of whom had varicose vein symptoms. The subjects were instructed to do treadmill walking, both barefoot and then in various heel lengths. The leg pressures were measured during these exercise studies. This study found, “The continuous use of high heels tends to provoke venous hypertension in the lower limbs and may represent a causal factor of venous disease symptoms”. When trying to avoid or prevent varicose veins, shoes are not the only consideration. While blood flow is altered by wearing high heels, a brisk walk ( in tennis shoes) can tone leg muscles for maximum efficiency and will help to keep the blood moving. Those populations of people with extra pounds do tend to have a high incidence of varicose veins. If you job involves standing for long hours, this is not good for vein health. And if you have been sitting long periods, schedule short breaks to stand and walk around. Likewise, vary long periods of standing by scheduled sitting and leg elevation if your position permits. While few studies have examined the effects of crossed knees and varicose veins, many vein specialists agree that bony knee prominence can place pressure on vessels and potentially affect vein valves and blood return. Don’t forget, beautiful high heels only in moderation. Fortunately, flats are stylish today. If you are concerned about your susceptibility to varicose veins, schedule an appointment with our vein specialist team at Minnesota Vein Center.